ISN Users Conferences, Regional Users Group Meetings and Regional Help Desks are intended to be educational and venues for sharing best practices for ISN subscribers. Registered ISN third party service providers, such as data providers with active agreements, may attend these meetings. All organizations and individuals are prohibited from engaging in solicitation activities and distribution of marketing content at ISN meeting venues without prior written authorization from ISN. Networking activities between active ISN subscribers (Hiring Clients and Contractors/Suppliers) are permitted and encouraged as long as they do not interfere with meeting events. Violators of these restrictions will be required to leave the meeting venue immediately. 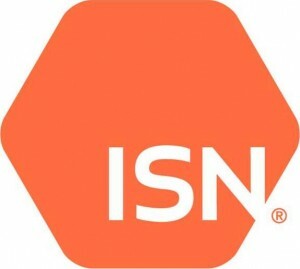 Users Group Meetings provide an overview of ISNetworld, demonstrate existing functionality and allow customers to provide feedback on topics discussed. UGMs are a way for contractors to learn about the different marketing opportunities and benefits available through ISNetworld. These meetings serve as an opportunity for contractors to meet current and prospective Hiring Clients. Help Desks are traditionally scheduled in conjunction with Users Group Meetings. Help Desks are 30 minute appointments where customers receive one-on-one assistance with their ISNetworld accounts. Hiring Client Roundtables are designed to keep current and prospective Hiring Clients up-to-date on ISN's products and services. These meetings serve as a forum for industry peers to network and to share best practices, as well as to find out how other companies use ISNetworld. Regional Workshops are one-day meetings offered where customers receive demonstrations on additional functionality available within ISNetworld. Workshops include presentations from ISN Hiring Clients, contractor breakout sessions and one-on-one assistance from an ISN representative. The ISN Users Conference is a two-day event that brings together Hiring Clients, contractors and suppliers from around the globe. The Users Conferences provides attendees an opportunity to hear best practices from industry leaders, to learn how to maximize their ISNetworld subscriptions and to network with other users.